This year the 2012 RAWards semi-finals for Miami were held at the The Stage in the Miami Design District. The winners of each of the nine competition categories will be on their way to Los Angeles, California for the national RAWards Finals in January. 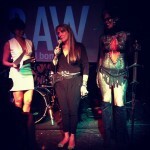 We’re proud to have our very own Pam Trent heading to L.A. to compete in the finals for the title of RAWards 2012 Performing Artist of the Year! 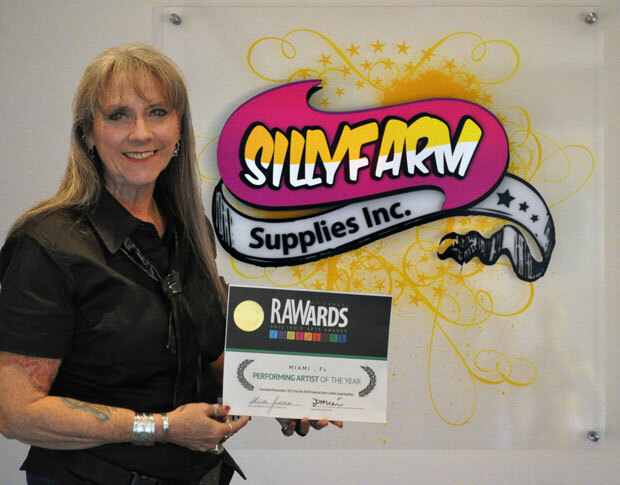 Pam took a couple minutes out of her busy day here at Silly Farm to answer a few questions and give you an exclusive interview. So Pam, tell us a little about yourself, where are you from? I was born and raised in Albuquerque, New Mexico and lived there for 54 years before I moved to south Florida. 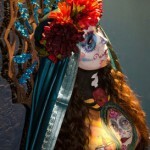 I have always painted and was asked by a church if I could face paint for the Fall Festival. I had never done this before but decided – what the heck – should not be too hard. Well, all it took was that one night and I was hooked for good! How did you end up at Silly Farm? Funny, I came out here for a Body Painting Competition in Young Circle in Hollywood. I was staying with Marcela – actually several of us were. We were sitting on her balcony one night and she was telling me Heather needed someone to help her and someone that knew the products. I told her I was so interested. That was in Feb and I arrived here, bags (actually a 16 ft. truck, cat and hauling a car) packed on March 18, 2008. 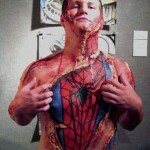 What is your favorite part about face and body art? First I love the creativity of the whole process – how it just seems to blossom and come together with one idea. Second is the smiles – you cannot beat the smiles. 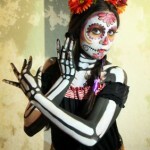 What conventions would you recommend for those just getting into face and body art? FABAIC of course. There is no convention where you can be a beginner or master in your trade and not be able to benefit from something at this convention. 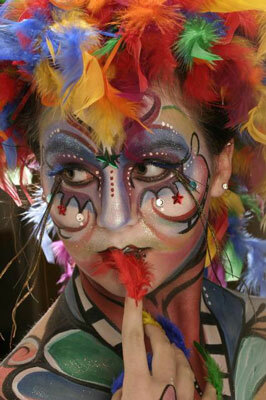 The other convention that I absolutely love is La Fete. It is small, very laid back, but so much fun! I want to have a show in an art gallery – I want to go out and teach more – and I would LOVE to get my foot in the door for movies!!! Special FX – and maybe FACEOFF one day! I love the beach!!! I love musical theatre(I go whenever I get the chance), love festivals and love to travel! All I am going to say is “Yes”! 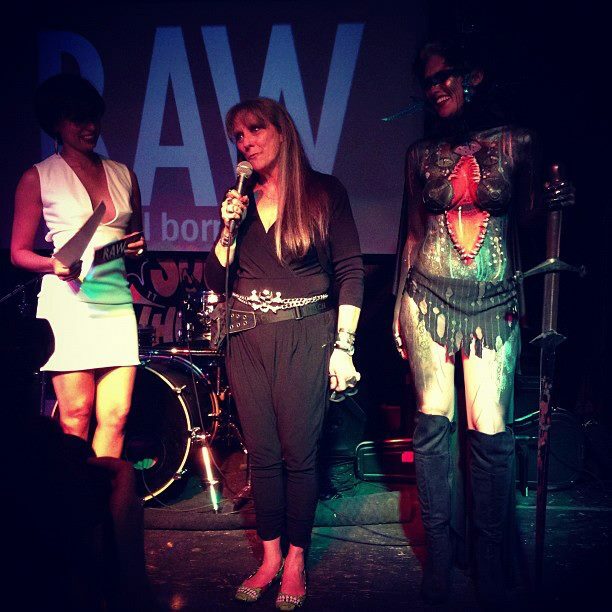 I have just won Performing Artists of the Year with RAW. I would love to “be discovered”. 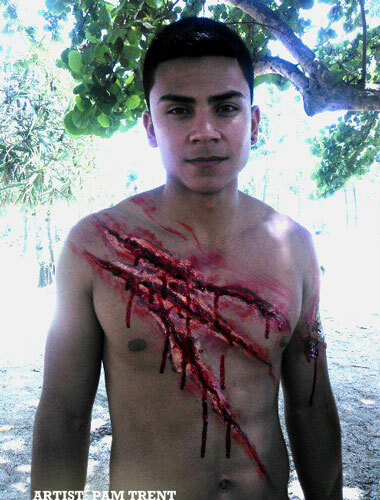 I would love to work in movies – makeup/special FX. 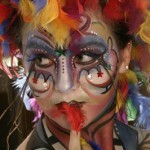 I am still wanting to compete at the World Body Painting Festival. 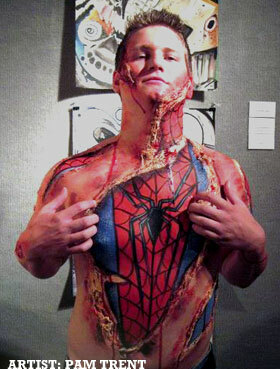 Well, I just finished working for Fright Nights(haunted house), and I have gone on the road teaching Special FX/Gore. I am also going to compete in the body painting competition in Wisconsin in February, and I have a young lady that is wanting to collaborate on a special project, but I can’t share all the details just yet. 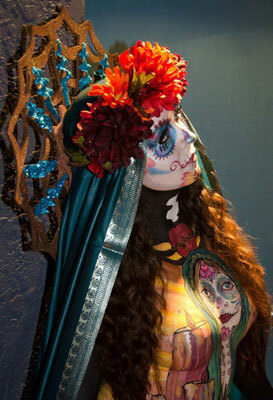 This entry was posted in News & Events and tagged Body Art, Competition, Miami, Pam Trent, Raw Artist, RAWards. Bookmark the permalink.